knottiebf170342fb0b6dc4, knottie82e2561ea2401488, knottiec784aa1fa9b19882, e_grinks, pregnantwithgirl and 133 others joined. knottie82e2561ea2401488, knottiebbb9f9dd782adb23, Lsheaf0612, knottie9445b09661c29d95, ponyatov and 20 others earned the Photogenic badge. Thanks for starting this @gapmom2019! I almost started a meal plan monday this week, but then forgot about it until Wednesday, haha, so didn't bother. I've been making stir fry for dinner a lot (I don't have a problem with chicken aversion or anything, so I do it with chicken and a ton of veggies and some brown rice. 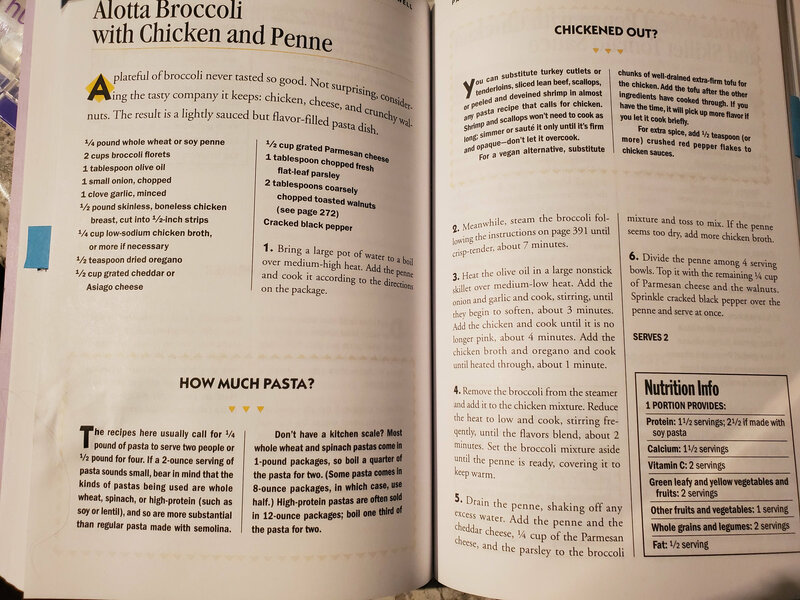 It's quick and easy, which are absolute musts for me for dinner during the week. Tonight I'm making a cold tuna pasta salad, which is perfect for lunch leftovers. It is tough when there are no leftovers to take for lunch.. honestly at that point I often just have cereal with fruit or PB&J. Sometimes I do a quick egg salad for a sandwich too. This thread is a great idea. I need help coming up with healthier options. I feel like I'm already failing this baby with all the takeout I have been eating. @gapmom2019 I typically always eat a bowl of oatmeal with flaxseed for breakfast. I have been BF and/or pregnant for 6 straight years now and oatmeal is so good for your milk supply. Also, adding flaxseed has done some incredible things for AF. My periods are lighter and shorter since adding flaxseed to my diet. Just a tip for later...it gets things moving in a constipated baby/toddler. So no need for miralax. I love the idea of adding of adding in applesauce. I may have to try that tomorrow. I would like to meal plan and come up with low carb options. I'm not planning to cut carbs completely but I would like to switch them completely to whole grain. @gapmom2019 I love this thread already! I’m nervous about excessive weight gain, though my OB is going to set me up with a maternal nutritionist. I have struggled with weight my whole life, and lost 170 pounds in the past 2 years. I’m trying not to obsess over calories and the scale, so hopefully just good nutrition can help keep me in good shape. Baby’s health is #1! @emeraldcity1214 do you use cauliflower as a carb alternate? I’ve started doing cauliflower rice, cauliflower tots, zucchini noodles... all are yummy and good alternates! @ejoseph16 I'm interested in trying zucchini noodles.. do you make them yourself? if so, how/is it hard? Congrats on your weight loss, btw. @creamcheeseplease I got a spiralizer that’s super easy to use. It’s a Joseph Joseph spiralizer. It’s great to either make the noodles by themselves, or mix with regular noodles! One of my favorite recipes to help get in some meat and veggies is zucchini boats. Sooo good and healthy. The cheese also helps with getting in calcium since I don’t drink regular milk. I've been doing Premier Protein shakes in the morning. It's been helping with the queasy feelings in the am. Snacking on more nuts, for sure. Green smoothies. Peanut butter w/ dark chocolate chips for a late night snack, if I can't help myself. Making sure to get plenty of protein and veggies. More salads at work. I'm seeing a weight loss so far (which I needed). Got some low carb tortillas for tacos tonight. Just making smarter food choices this go around. @ejoseph16 I have used cauliflower as a carb alternative. Mostly just for rice though. @creamcheeseplease which tuna is the safe option to buy? I know we need to steer clear from some of them due to the mercury. I like the the idea of stir fry. I guess I could mix it up with different veggies and sauces? Tonight we are doing black bean quesadillas. Very quick and easy! Here is our meal plan for this week. Saturday and Sunday include lunch and dinner. Keep in mind I’m also feeding a very picky teenager! Lol My other one is vegan and makes her own meals. 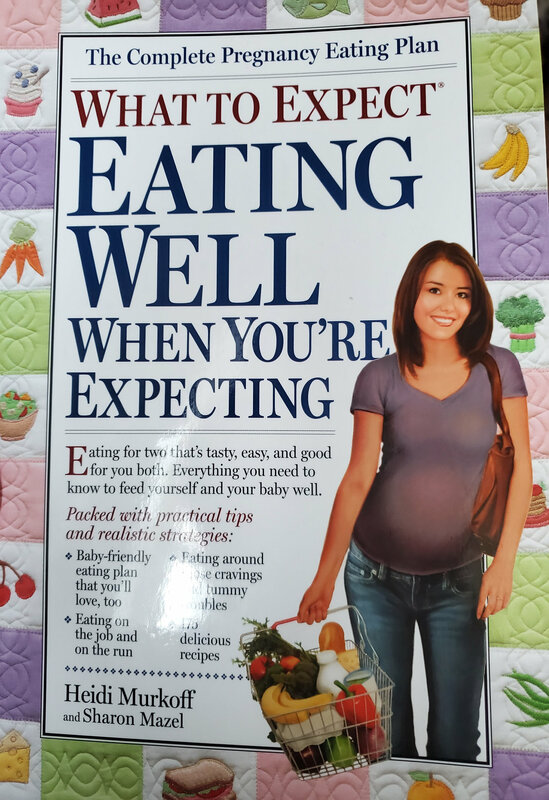 There are some FANTASTIC pregnancy recipes in this book. There's a lot about nutrition and balanced meals. It makes it really easy to meal plan and get what you and your baby need on a daily basis. @gapmom2019 I used the chunk light tuna which is supposed to be an okay choice although I don’t think you are supposed to eat more than 1-2 cans per week, which isn’t a problem for me. There is also something called safe catch I think that is supposed to be safer Mercury wise but I have never seen that in the stores around here. I love black beans so much! Tonight I'm making baked/air fried chicken and roast potatoes. Saturday: Skinnytaste one pot spaghetti and meat sauce, this was pretty good and I'm so down with one pot. I had the chicken with white rice and roasted veggies with a slice of avocado and home made salsa. Made this for dinner tonight and it was a hit with DH too! Lentil and black bean chili has been awesome for me! I make a pot on Sunday and then portion it out for the week. Top with Greek yogurt (instead of sour cream) and some cilantro!